There is a great expectation among believers for a real move of God before the rapture takes place. Many believers are hoping and expecting this move of God so they can find a place to serve Him with all their hearts and see the coming of the Lord in great glory that they can be an enormous part of. Yes, God has men and women of all ages that are hungering and are passionate for His presence. 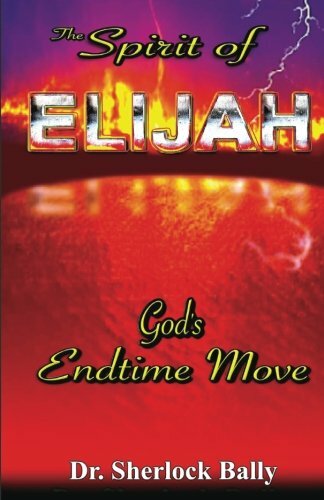 Elijah's life becomes the prototype for our lives and we can make some pretty incredible comparisons for this last move of God. Elijah's journey, trial, tribulations, and victories are amazing. Our lives filled with the Holy Spirit will and should be just as amazing. Here is a book that will teach, inspire, and create tremendous hope.